Early 1900s Ericsson wall telephone. This is the a rare find. I was told it was removed from a house that had remained un modified since the 1930s. 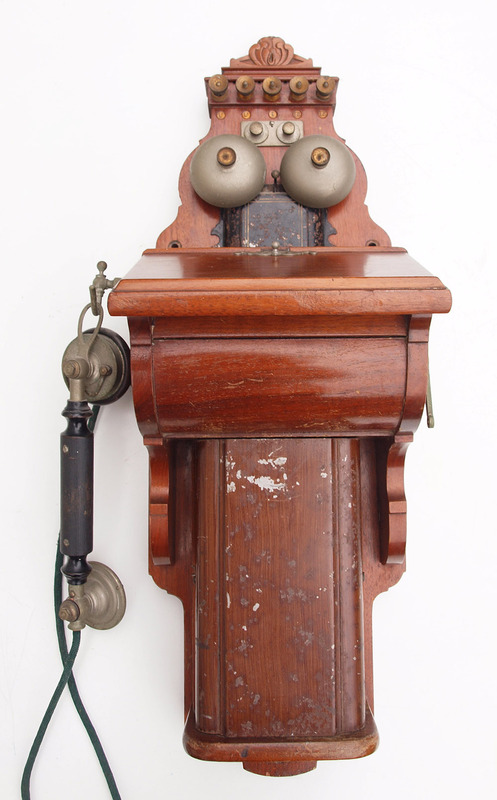 This telephone is un restored and just as it was removed from the the house. If you like your telephones to be in as found un molested condition then this one is for you. I have had a number of the larger versions of this model but this is the more sought after and rare smaller one. This is being sold as a collectors non working model. The handset cord has been cut and taped together.